Have I told you lately how much I adore YOU, my dear, creative, playful, insightful, wonderful community? Truly. You guys blow me away — and I couldn’t be more grateful. I’m feeling particularly gushy about you today because last week, you all rocked the Kasbah with your submissions to our book selfie contest! So allow me to step aside and turn a mirror towards YOU, my beautiful and creative community … and announce the 7 winners of the book selfie contest! One of Lillooet's Lovely Librarians! I love the story behind this one! This is a librarian at the Lillooet Public Library in British Columbia, Canada, holding a copy of the book donated by our street team member, Kate Aleck. This library usually doesn’t get books until a year or two after they’re published, so I’m thrilled to see it there so soon and hope it brings healing and happiness to many, many people. Aren’t these fabulous?? All of our contest winners will receive our Art of Money Dialogues series (the best of my interviews), an autographed book plate, and a chocolatey care package. Thank you so much to everyone who snapped selfies with my book this week and shared them around Facebook and Twitter! I can’t tell you what it means to me to see my book in your hands, with your puppies, on your desk, touching hearts. Thank you for sharing the love!! 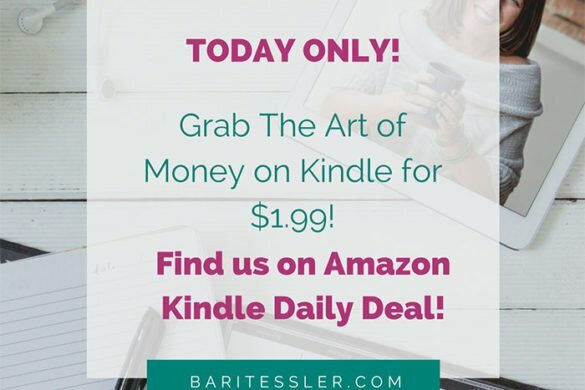 The Art of Money: A Life-Changing Guide to Financial Happiness has made some big waves in its first two weeks! We’re about to go into our second printing (already!! ), are up to 30 Amazon reviews, and will soon be featured on Oprah.com (stay tuned for that link, hopefully this week). The world is so ready for this work — and I couldn’t be happier! P.S. Are you in or near Boulder, Colorado? Please join me at the Boulder Bookstore tomorrow night for the kickoff of my book tour! We’ll be celebrating in style, at my favorite independent bookstore. Speaking there is a dream come true, and I’d love to see you there! I’ll speak, do a little reading, and answer some questions before signing books. Click here for all the details — and I can’t wait to see you! The Art of Money 2018 starts in 3 days! Are you in?